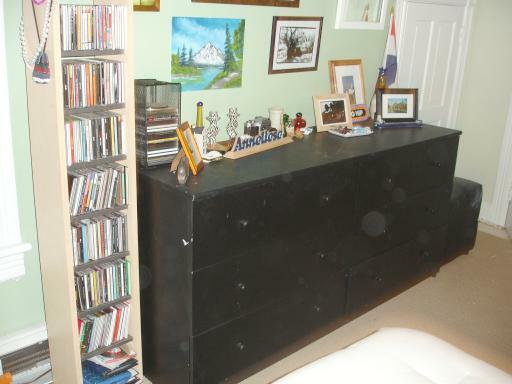 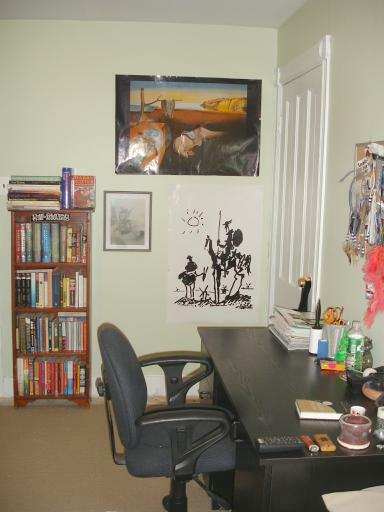 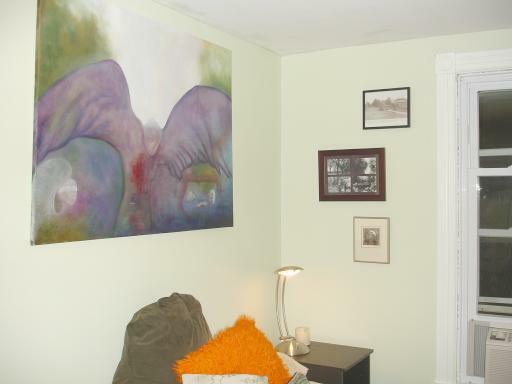 while the fourth "accent" wall (right) is a more intense hue. 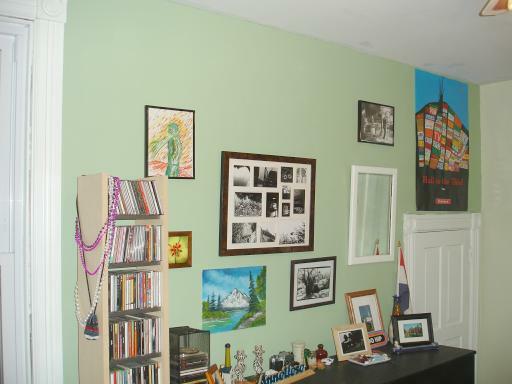 (the mirror is an antique from the Spiegelstraat in Amsterdam, painted the color of the trim). 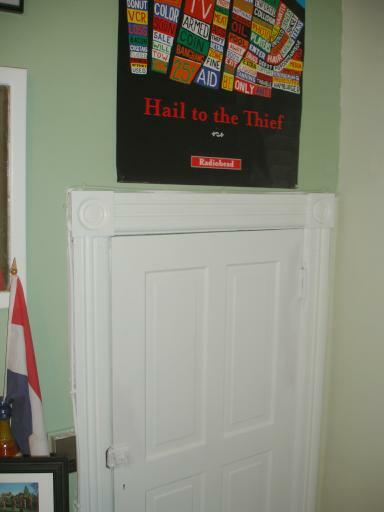 Doo-dads and souvenirs on the bulletin board. 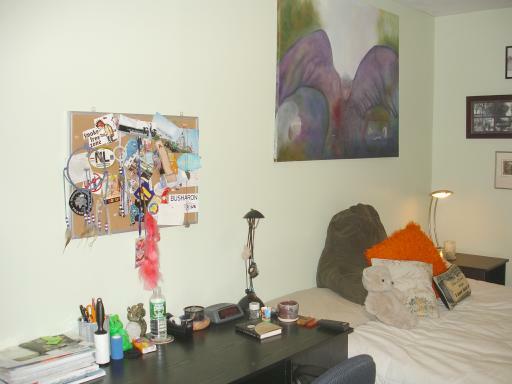 The untited painting above Liese's bed is by Deb's friend Muriel. 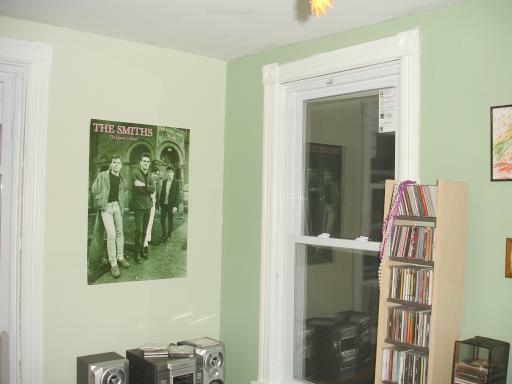 The Smiths' greenish poster from the days of "The Queen is Dead"
(1986, TWENTY freaking years ago) looks great on the green wall! 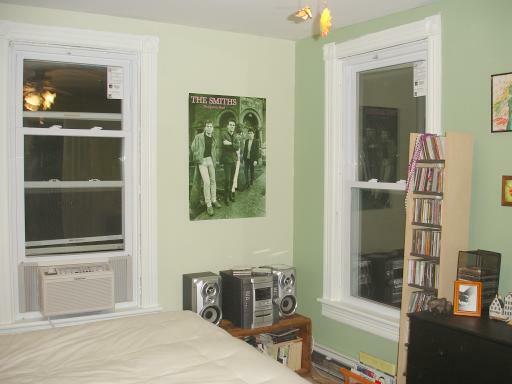 Radiohead now beckons you through the half-door that leads to the attic.